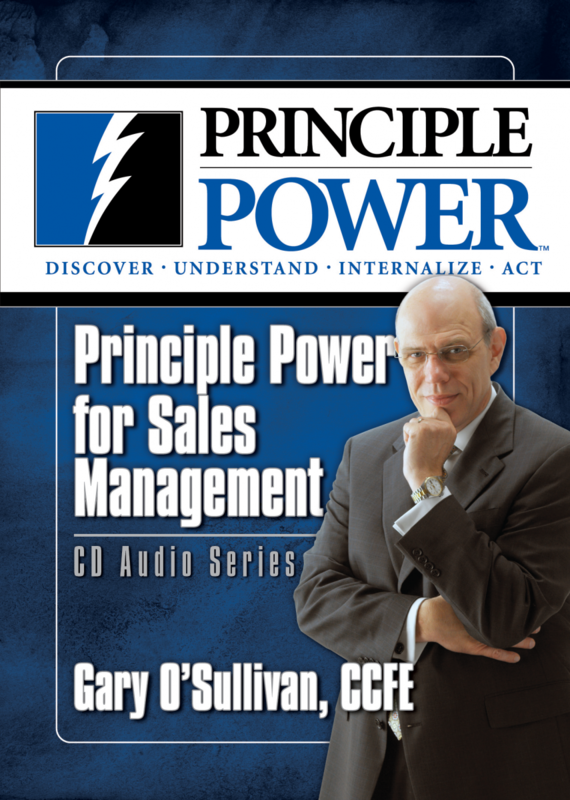 This audio series was written and recorded specifically for sales managers. 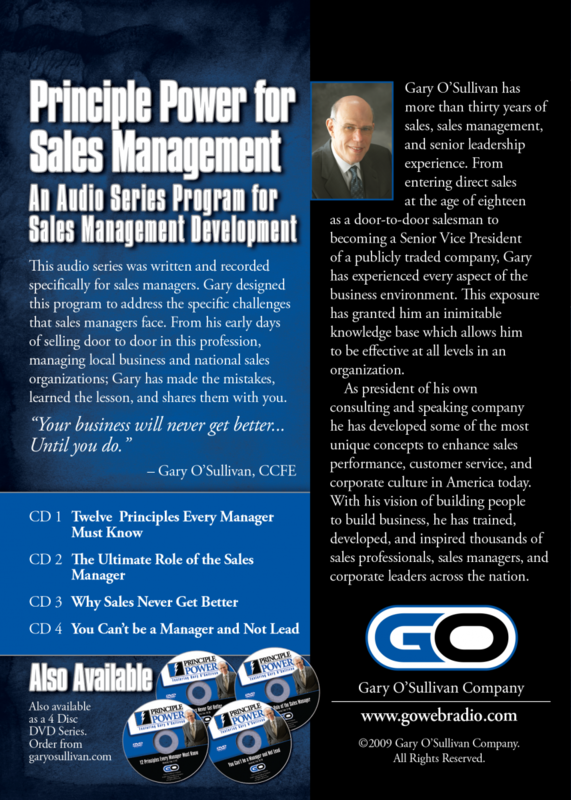 Gary designed this program to address the specific challenges that sales managers face. 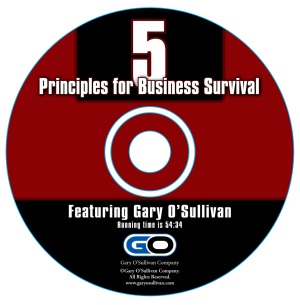 From his early days of selling door-to-door in this profession, managing local business and national sales organizations: Gary has made the mistakes, learned the lessons, and shares them with you. Your business will never get better… Until you do. What earned you the role of sales manager isn’t enough to keep you there. It’s not what got you the role of sales manager that will keep you in that role. 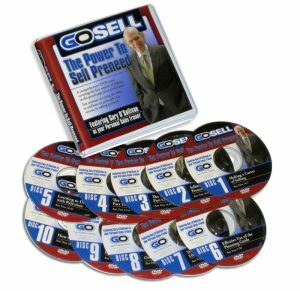 Most people are appointed sales managers because of their personal sales successes. Yet when you become a sales manager, the things you have to do to achieve success are different. 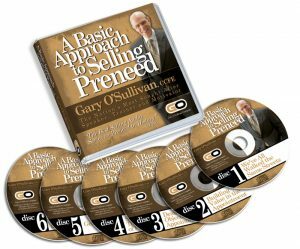 In this presentation, Gary will share with you twelve principles which will help lead you to sales management success. 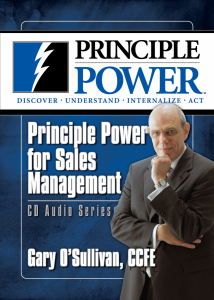 Gary shares three principles for Sales Management success. Be prepared to be surprised. 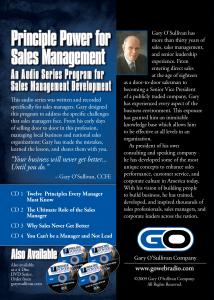 Gary has interviewed sales managers all across the nation and asked them what they think the ultimate role of the sales manager is. Most every one has told him it was to get volume. Gary couldn’t disagree more. 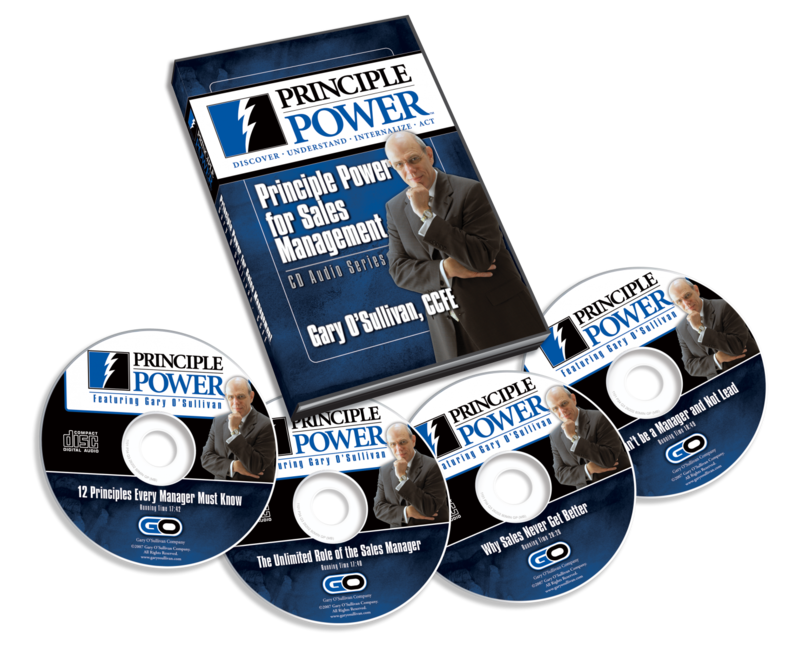 Gary thinks there are three principles which are, in reality, the ultimate role of the sales manager. In this presentation, he shares what they are. 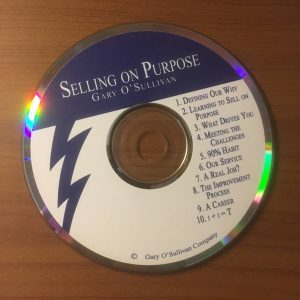 Gary shares the three primary factors that will help you grow as a sales manager. 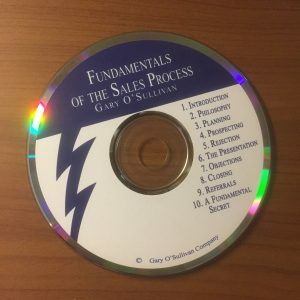 How do you grow and develop as a sale manager? There are three factors that will impact your ability to grow and develop in your role as a sales manger. 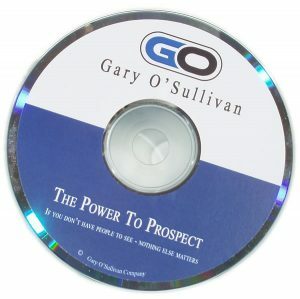 In this session you will learn what they are and how to use them to assist you in your development. Managing and Leading aren’t the same thing. Learn how to do both. One of the key roles of a sales manager is to also be a leader. In this session Gary reviews the differences between the competencies of being a manager and being a leader. If you think they are the same, you really need to listen to thic audio presentation. A new way to think about being at the T.O.P.